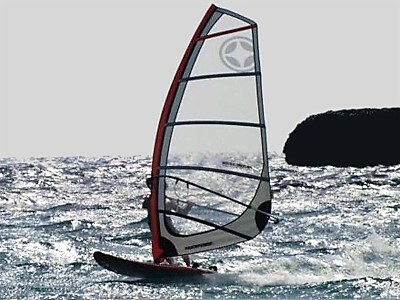 Windsurfing is a very popular sport in all the countries in the world. It all started in the 30s on the island of Maui (Hawai). The impact was so strong that it quickly became a very popular sport. 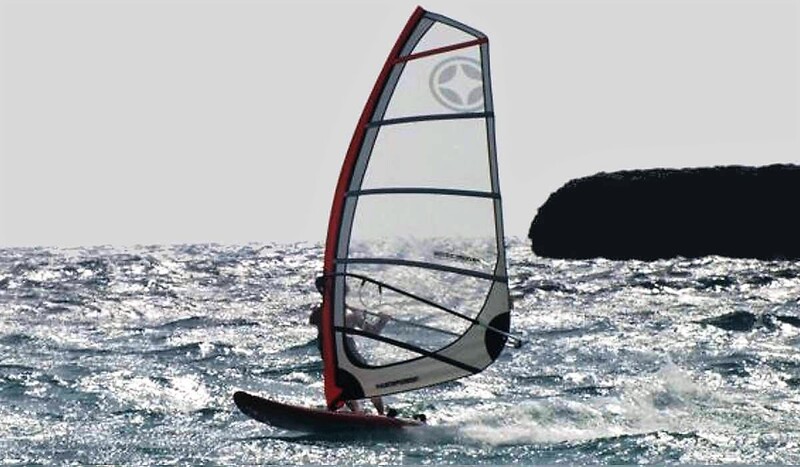 The contact with nature and especially with the sea makes it even more atractive. Nowadays its for us a pleasure to teach you this discipline. 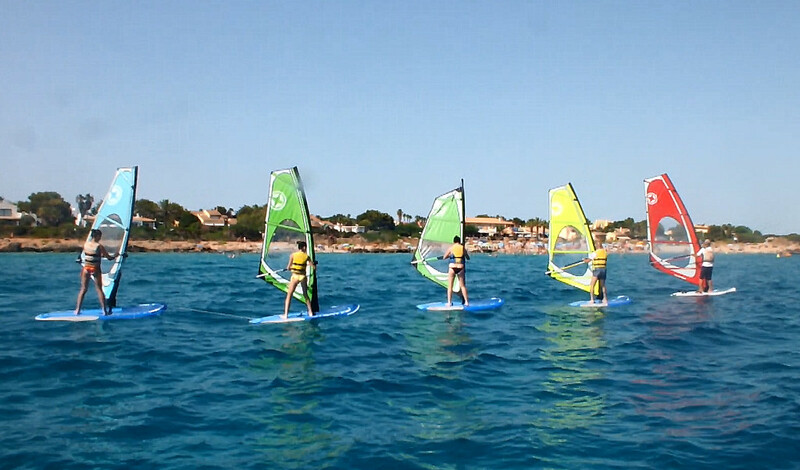 At Surf and Sail Menorca you will find all the equipment you need to practice this sport and for those who still haven´t tried it come and enjoy it with us. Suitable at all ages from children to adults. 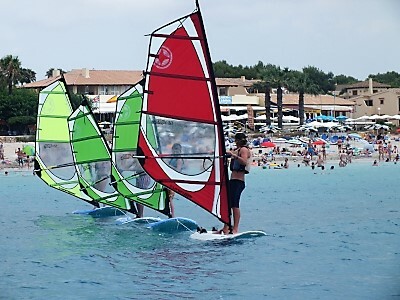 4 Lessons course: Most of the people who start this course never windsurfed before.. Each lesson last 1hr and ½. 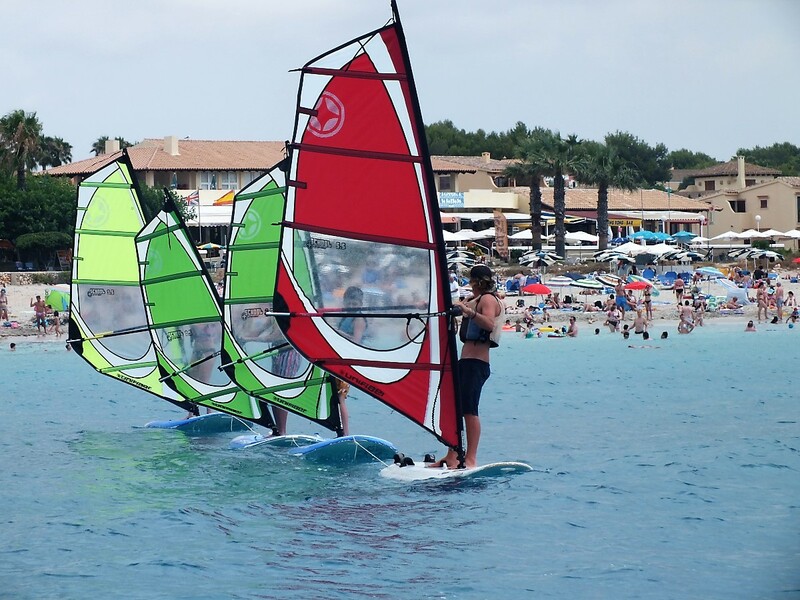 During the first lesson we will give you a bit of theory and teach you the importance of the wind and then followed by an instructor we go straight into the sea. Max 5/6 persons in a group. 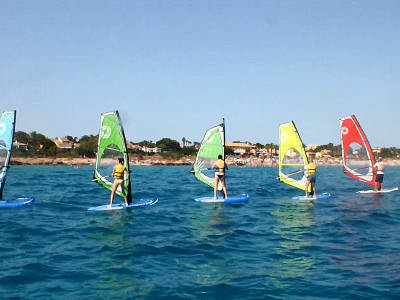 If you already windsurf or have done it before,you can also join a course to improve your level. 6 Lessons course: For those who have enjoyed the first 4 lessons, they can improve their style with 2 more lessons.